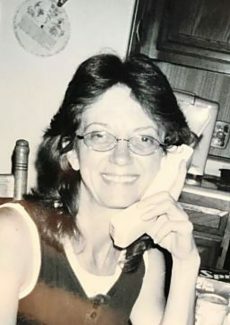 Jennifer Ann Davis, 59, of Platteville passed away on Dec. 13, 2017, at her home. She was born on Oct. 14, 1958, in Brighton, Colo., to Vern and Mary Davis. Jennifer is survived by her daughter, Mariah Vinson of Evans, Colo.; son, Levi Vinson of Platteville; father, Vern Davis of Platteville; sisters, Jolene Davis of Fort Collins, Colo., and Julie Lynn Heil and June (Roger) Olsen both of Platteville; and granddaughter, Cheyenne. She was preceded in death by her mother, Mary "Margaret" Davis. A memorial service was held on Dec. 20, 2017, at the First United Methodist Church, 316 Elizabeth Ave., Platteville. Memorial contributions may be made to the Spoonbill Foundation in care of Stoddard Funeral Home, 3205 West 28th St., Greeley, CO 80634.